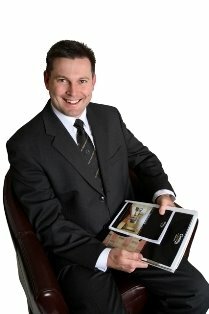 The Real Estate Expert: GOLD, GOLD, GOLD! 21.10.2008 I love watching sport as much as anyone, and have been in heaven catching snippets of the Olympics in between business and family commitments. Whilst watching the Olympics, I have been struck by the number of parallels between the athletes’ feats in the sporting arena, and the myriad challenges that Buyers and Sellers face daily in real estate. We’re all familiar with many of the sporting related clichés that fill our vocabulary, but I’ve also identified 8 Gold Medal lessons that we can take from sport and apply to our day to day circumstances: Know the rules and play by them. Be aware of your rights and obligations, and always, always, always act ethically and within the law. Be precise, but act quickly. When you see an opportunity, don’t delay. Gather your facts together, and make a prompt decision. Remember that often opportunity doesn’t knock, it tip toes quietly by! Persevere. As the age old proverb states, “If at first you don’t succeed, try, try, try again!” Always ensure that you have done your preparation and know that you are acting based on facts and quality information. If you can’t get a result, change or start again. The caveat to Perseverance! Beware of being “pig headed” or ignoring the realities or a particular situation, and be prepared if necessary to change strategy or even start again from scratch. Be prepared to take risks. Some people say that you can’t get great rewards without taking great risks. I personally don’t subscribe to this theory, but I do strongly believe that in order to achieve your objectives you must be prepare to take calculated risks. Look wide. Be prepared to consider a wide variety of options. Sometimes you find the ideal solution presents itself from the least likely quarter – but only if you’re open minded and prepared to consider it! Be focused. Identify your objectives. Make your plans. Gather your resources. Chanel your energies into using your resources, following the plan and achieving the objective! Be balanced. Whilst trying to juggle all of the above, (much of which appears prima facie to be contradictory!) you must have a sense of “balance”. This enables you to make calculated decisions that quickly and effectively weigh all of the pros and cons and determine your next action. I hope that helps, and now here’s your chance to participate! In the spirit of competition, I’ll award a gold medal winning bottle of red wine to the person that can offer the best suggestions for which Olympic Sports each of the above “lessons” were drawn from! Just email me at c21westside@century21.com.au with “Olympic Competition” as the subject, and I’ll announce the winner next week!